As with most nine year old boys, Minecraft is a huge deal at the moment. Following a very successful dental hospital visit, we treated L to a Lego set he had been longing for since his birthday in March. For his birthday, we bought him The First Night and The Farm, and this set was essential, apparently, as it contained a Spider and Ores. Not oars, which is what I was picturing, when he first mentioned it! As much as Lego can seem quite pricey, for what is essentially bits of plastic, I think the Minecraft sets provide something a little different, which makes them better value. Little Minecraft fans really appreciate the detail that has been included, such as chests, fences, crafting tables, etc, which you couldn't make out of standard Lego. They seem to include a lot of pieces for the money and, with a few additional bricks, it is possible to join the sets together to make a bigger world. Below is L's own opinion of the set, along with an unboxing video review. It's longer than average, because he tried to include details on how to build the spider, as it is made of mainly standard bricks. Unfortunately it's not too clear, as I can't zoom on my iPad! Hopefully you will be able to figure it out if you need to. L: The cave is a Lego MINECRAFT set. Is aged 8+, model number is 21113, and you can build your own creations, but inspiration is included. It took me approximately 25 minutes to build, but I say, other builders could do faster. 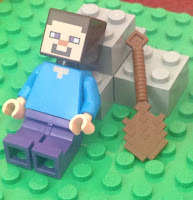 It comes with 1 spider, 1 Steve + Iron pickaxe, and a zombie. It comes with 6 ores: 2 Gold ore, 1 Redstone ore, 1 Iron ore and 2 Coal ore and it also comes with building blocks and TNT. It seems to be quality, I did not at all have any problems with it, and I would recommend it to my friends as 5 star. It cost £19.99 in most places, personally, I would say it’s worth the money. This seems like the most perfect present for the summer (especially as, while I type this, it is pouring with rain). Great to have something to keep him amused and happy and busy! Ohh this looks fab! My girls love Minecraft and have a couple of sets but not this one. Kids go nuts over this yet to see mine prob will come when older but do like this brand. My son still loves Lego and he's 18. Luke is very confident on film, he should be a TV presenter! If you're happy for me to share this post I am the BritMums Video Round-up Editor and as it contains video I could feature it in my next round-up (September) - Just let me know if that's ok for you? Riley loved watching your son in the videos! It's now on his birthday list! 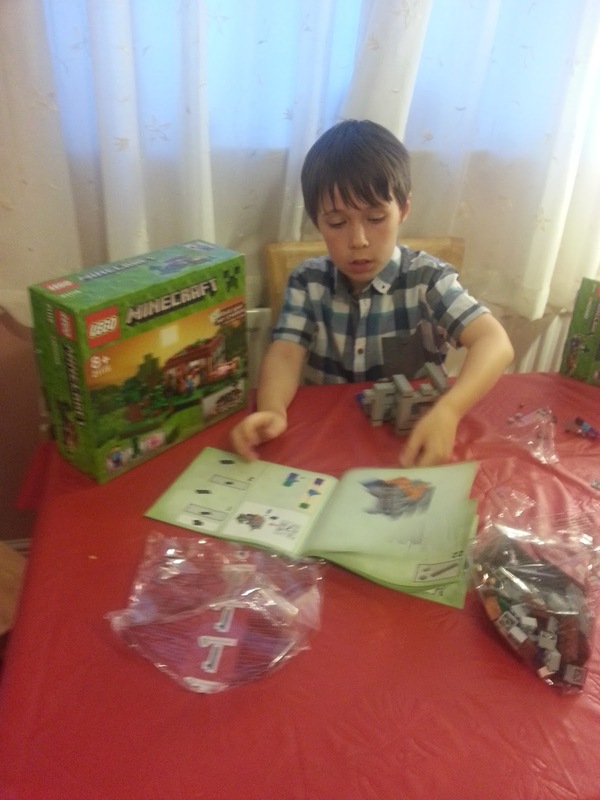 My son enjoys playing Minecraft too and LEGO has always been a great toy. Mine have not ever got the Minecraft bug, I feel like we are missing out. This sounds such fun, amazing how loved Minecraft has become. I didn't know they did minecraft lego! I know someone who would love this!!! My son has one of these. He's 10 and he loved putting it together. My son loves Lego and Minecraft, but he hasn't tried both together yet as he is so into Chima. This looks fab. 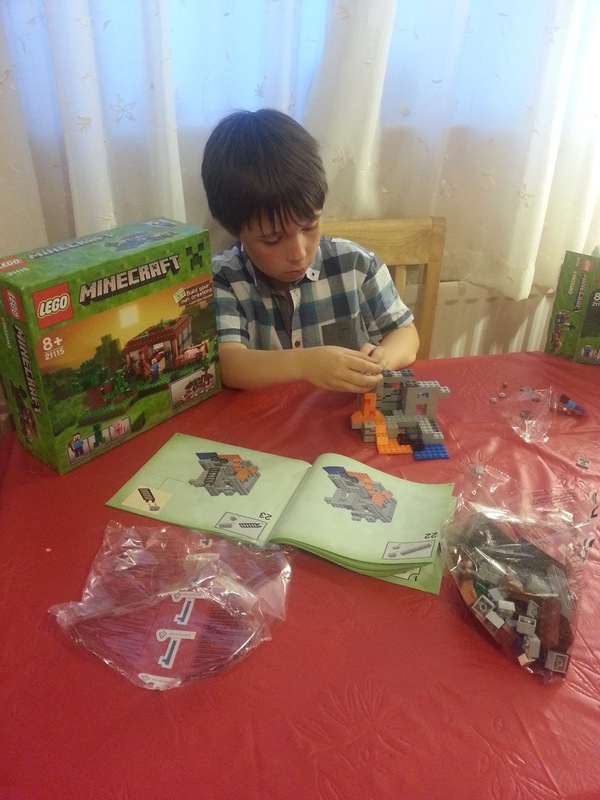 My son adores lego but is a bit young for minecraft...I doubt that would put him off though! Both my sons are crazy about Lego and Minecraft, and they have both wanted this set for ages. Great post, this looks good! my son would love this he loves minecraft and lego! I find though minecraft lego is a tad expensive.